Home may be where the heart is, but at the heart of every home is the kitchen. If your kitchen is feeling old or outdated, everyone under your roof suffers. To breathe new life back into your home, it may be time to consider upgrading to a new, custom-designed kitchen to meet your needs. The first step to remodeling your kitchen is making a plan. Which parts of your kitchen interior need to be upgraded: lighting, countertops, appliances, floors, cabinets, or everything? What style do you have in mind: are you going for a galley kitchen, something contemporary or modern, or rustic and retro? When planning a kitchen renovation, it’s important to choose a contractor you can count on to seamlessly incorporate your plans while staying on budget. At Youthful Home, we’re here to help. Our reviews will help you find reputable professionals who offer the best kitchen remodeling services in your area. Our kitchen cabinets, cupboards and countertops are some of the most-used fixtures in our homes. Years of repeated use can leave them worse for the wear. Fortunately, there is an affordable solution. Rather than replacing your cabinets and countertops entirely, you can have them refaced and refinished to look and perform like new. Great for server cabinets and traditional surfaces, refacing or resurfacing services repair the outermost surfaces of countertops and cabinets to restore their appearance and functionality. Sometimes, the wear and tear on our kitchen cabinets and countertops is too much for repairs to handle alone. Other times, kitchen countertops and cabinets simply become old and outdated and need to go. 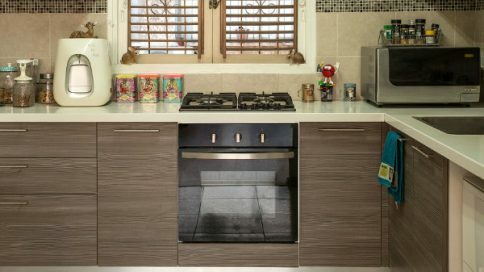 In these cases, cabinet and countertop installation and replacement is the right course of action for the kitchen. To update your space, work with a reliable and inexpensive contractor that installs a wide range of materials and custom fixtures. Read reviews for licensed contractors, look at past photos, and schedule fitting appointments to choose the best contractor for your cabinet and countertop replacement. Over time, a kitchen can lose its luster — appliances break, cheap countertops and cabinets crack, floors and walls fade. By remodeling your large or small kitchen in full, you can choose matching appliances and other fixtures all at once. With a total kitchen remodel, you can also design an overall aesthetic to fit your preferences down to the last tile. Whether you want a luxury look or a country feel, it’s important to partner with a contractor that offers complete kitchen remodeling services to help redo your space and complete your kitchen makeover.